I love this series. I really do. Even if Kate got on my last nerve in this book. I really wanted to travel to the Underworld and slap her Jersey Shores style a few times. I absolutely hate whiny, needy, clingy females—whether they are real or fictional. Kate was ridiculous in this book. The only thing missing from her pity party was a daisy and a little “He loves me, he loves me not.” She spent the entire book convincing herself that Henry didn’t love her (despite everyone telling her differently). It was very Bella in New Moon—and we all know how irritating Bella was in that book. To sum up my feelings on this book as a whole, I’m going to use one of my insightful food analogies. 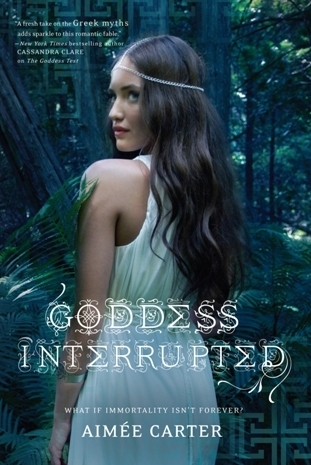 If this series were a double layer cake, The Goddess Interrupted would be the icing in the middle of the layers. By itself, it leaves you a little queasy, but together with the other pieces, it’s the binding element. I don’t think I would say “sophomore slump” for Goddess Interrupted because I did enjoy it. It just seems like this one had the sole purpose of developing the plot for the third book. The characters weren’t as great as in the first book. Kate was a little lacking, and there wasn’t enough Henry. I felt more annoyed by Kate this time around. In The Goddess Test I thought she was this incredibly strong female that blazed her way through life. This time, however, I only glimpsed elements of her inner strength. She spent most of her time whining and feeling sorry for herself in this book. So, with the ugly out of the way, I can honestly say that where the characters lacked, the plot soared. There is a lot going on in this book. Calliope has gone completely evil and sided with one of the Titans. Don’t whine about a little spoiler. You know you saw that coming in book one. 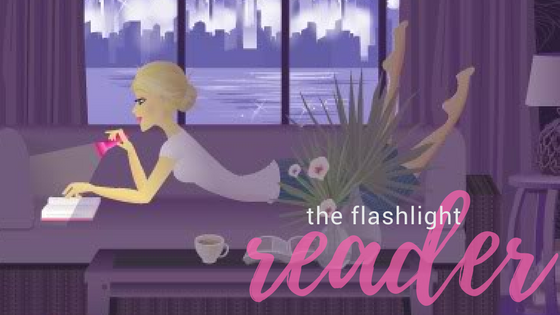 What I found really surprising in this book was Persephone. What a piece… I couldn’t make up my mind on whether I hated her or not. She was a snot (kid friendly edit) most of the time, but there seemed to be a few redeeming elements to her personality. A very small few… I have a feeling that she will have a major role in book three. Now for the best part about this book: the final 30 pages! Holy moly. My toes curled when Henry and Kate finally… bow chica bow wow… (and get your head out of the gutter because it was handled very nicely. No smutty romance novel scene here.) There was also another cliffhanger ending that left my mind blazing! So many questions and guesses. I can only imagine what the next book will have in store for us! Now I’m all moody and sulking because we have to wait a year to find out! Ugh. The sabotage and double crossing at the end of this book is unbelievable. Un-believable! I really didn’t see it coming. Swear. I think I'm just waiting for the whole series! I never read the first one because of the mixed reviews and now with this review, I'm just waiting. The last 30 pages will not make up for a whole book of whine for me. I've got children for that! I do love your phrasing though! Made me laugh out loud! I did like the book though, despite Kate getting on my nerves.